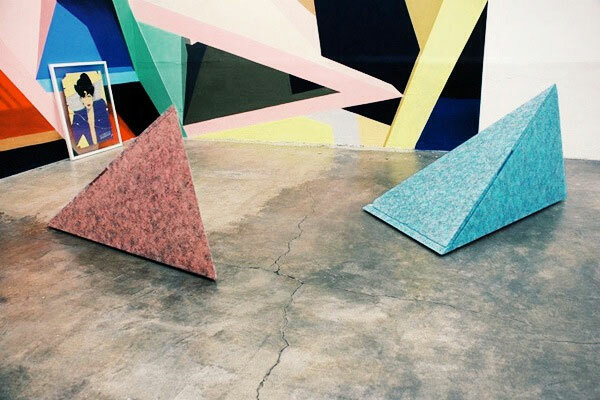 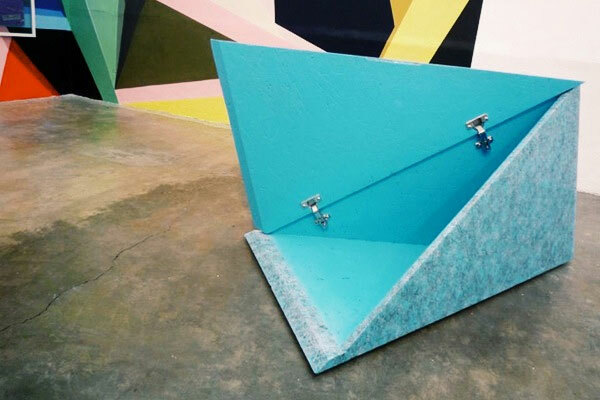 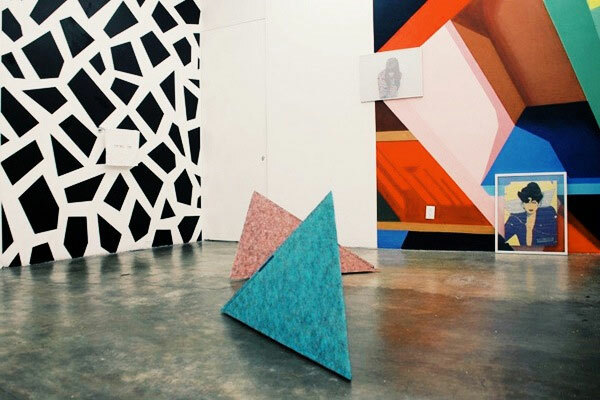 Triangular shaped trunks made in OSB with a marble look-alike finish for Function follows form, an exhibition about Ettore Sottsass and Memphis at Aldo Chaparro´s studio in 2012. 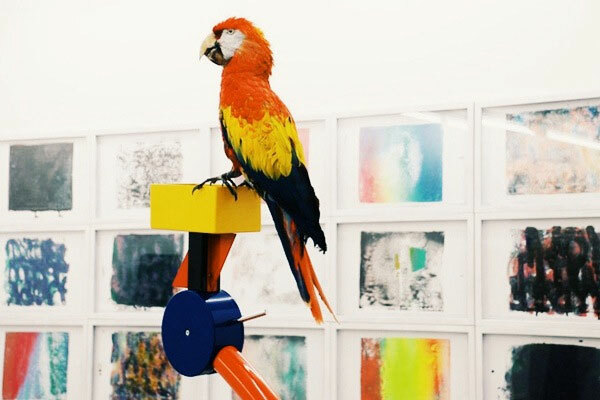 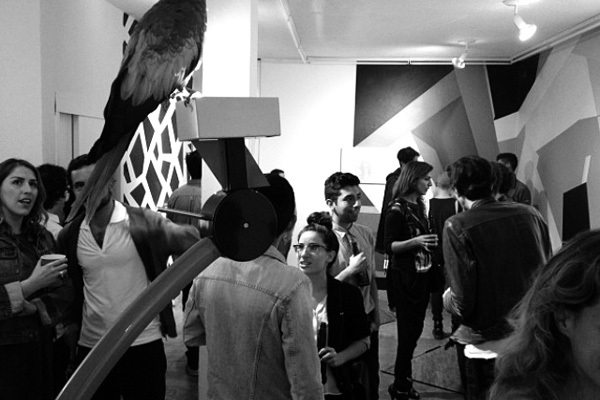 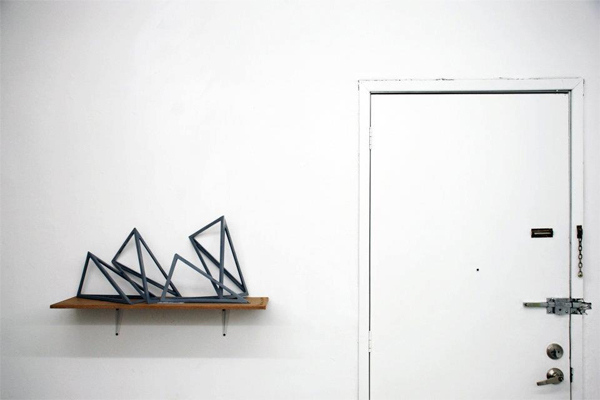 A review of the exhibition at Pablo Leon de la Barra´s blog here. 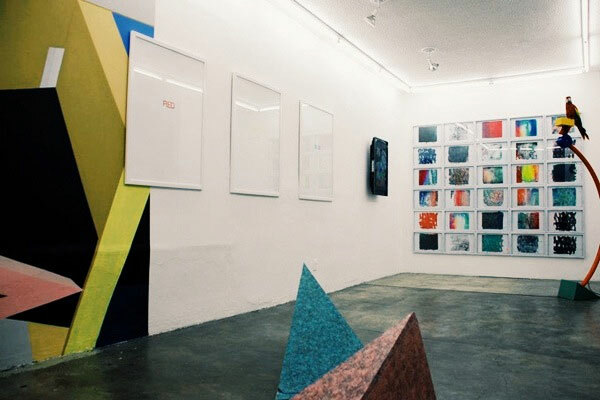 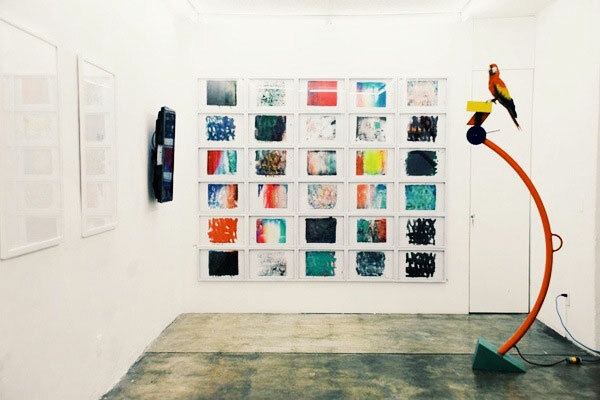 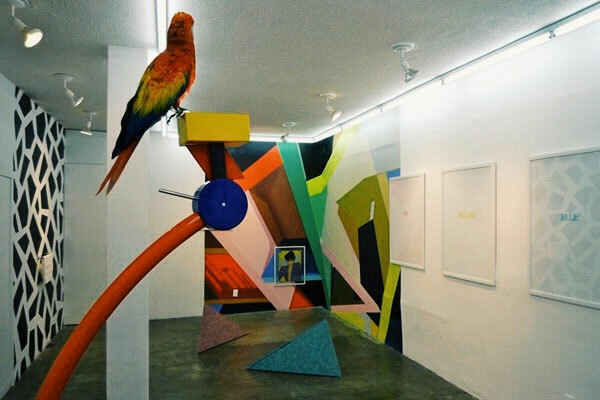 Works by Adriana Minoliti, Enrique Giner de los Ríos & Rodrigo Chamizo, Eduardo López & Marcos Castro, Johnatan Molina, Aldo Chaparro, Andrew Birk and Marco Granados.